Spanning over 600,000 acres in southwestern Oregon and northern California, the Rogue River-Siskiyou National Forest offers the area's best recreational activities, from whitewater rafting to snowmobiling. 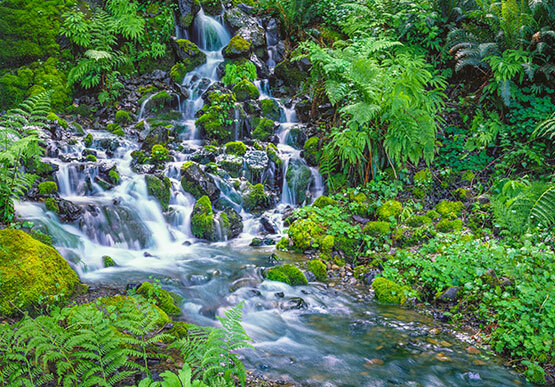 Explore this majestic National Forest from our Brookings hotel and soak in the great outdoors. In the summer, hike or bike challenging trails, fish, picnic, kayak or admire the wildlife. In the winter months, visitors can also ski or snowshoe through the forest. Traverse on your own or take a guided tour of the breathtaking landscapes of mountains, meadows, streams, and lakes. For an impressive walk through the forest, access the Oregon Redwoods Trail loop to view the world's tallest trees north of California. Prices vary per activity. Some recreational sites require a pass, some do not. Open 24/day. Visitor center is open Monday - Friday: 9 am to 5 pm. Where are the best Siskiyou National Forest hiking trails? With hundreds of miles of trails for every level and mode, explore the most popular hiking trails in Siskiyou National Forest. One of the most popular trails is the Oregon Redwood Trail, a short loop among the world’s tallest Redwood trees north of California. For those looking for the most challenging trails, try Snow Camp Trail, Mount McLoughlin or Inspiration Point. For more leisurely strides, go for Oregon Redwoods Trail Loop or Lamb Saddle. Can you go hunting in the Siskiyou National Forest?